Composer, educator, humanitarian and creator of the Deep Listening practice Pauline Oliveros invites us to experience possibilities of change in the widest sense: crossing known borders, opening and embracing options for listening, silence and sounding. As an official network partner PoL is proud to host this listening event with Ximena Alarcón. In this Points of Listening event we will experience Deep Listening, as an inner departure for change. Through energy building exercises, and listening meditations you will be guided to experience inner and outer listening, to expand your awareness of sound as it travels in time and space, encountering many possible audible forms, beyond ordinary sound perceptions in daily life. We will practice inclusive and exclusive attention to the phenomena of sound, and experiment through individual and collective sounding. 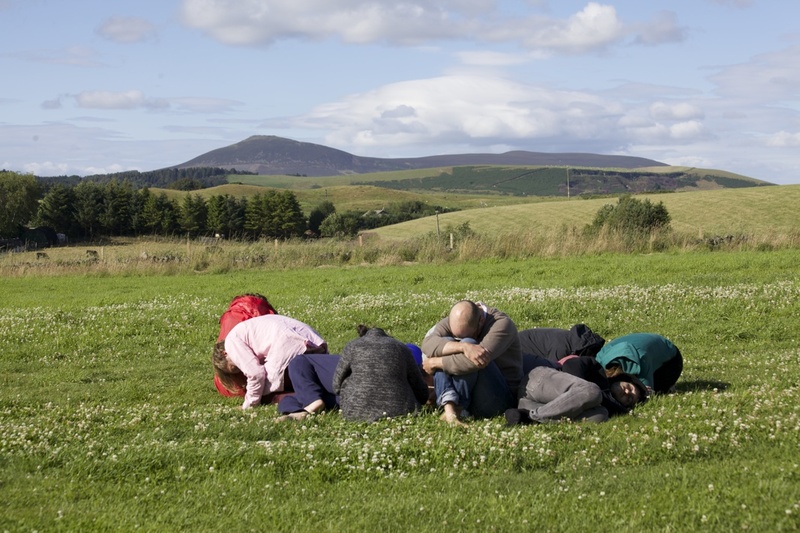 The session will be facilitated by Ximena Alarcón, an artist who has been studying the practice of Deep Listening since 2008, and who in 2012, became a Deep Listening Certificate holder. Ximena is a Research Fellow at CRiSAP, where she expands her research practice in the form of telematic sonic performances via the Internet, exploring sonic dimensions of the in-between space, in the context of migration.